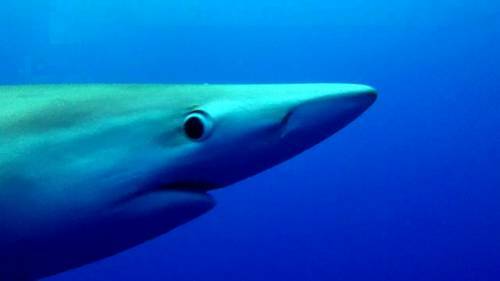 A dive not for the faint hearted as one will dive in the blue with the elegant and curious blue shark. Sometimes mako sharks also join the party. Recommended season: July, August and September. Being around 25 miles off Horta harbor, good weather conditions are necessary to do this dive. Be prepared for a small bait action before diving. A must for shark lovers!